Franna is a well known crane brand that is very popular among crane operators all over Australia. Headquartered in Shepparton, Victoria, the company disposes with a wide range of multi-purpose pick and carry cranes, developed by very skilled and acknowledged staff. The Franna cranes usually refer to pick and carry cranes, because it is the only model that the Franna crane brand develops. The pick and carry Franna crane can be used in many different applications, due to its flexibility. As it has no outriggers or stabilizing legs, the pick and carry Franna crane can operate efficiently even in tight areas. Franna cranes are used all around Australia and in other countries of the world. Here’s a brief history of the Franna cranes in Australia. The first prototype of pick and carry Franna crane was developed by the Australian engineer, Dave Francis, in 1980. The name “Franna” is a term combined by Francis and Anna, names of his daughters. Three years the establishment, two engineers purchased the company, and started developing pick and carry Franna cranes by following and adopting Dave Francis’ original design. Franna cranes instantly gained popularity in Australia and in the rest of the world due to their exceptional high-speed performance, versatility, flexibility and maneuverability. As a result of their high performance and popularity right from the start, today every pick and carry crane is known as Franna crane, regardless of the brand. The success of Franna cranes was noticed by one American heavy equipment manufacturer, Terex and in 1999, Terex acquired the rights of the Franna cranes and changed the name to Terex-Franna. However, Franna cranes are still known and called Franna, and not Terex-Franna cranes. The Terex-Franna company today manufacturers a range of cranes, from small to large pick and carry cranes with lifting capacity ranging from 10 to 20 tonnes. In Australia, these cranes are very popular, simply because they provide greater flexibility than the truck-mounted cranes. Multifunctional and reputable, Franna cranes have a lot to offer to crane operators. The pick and carry Franna crane comes with a unique combination of features, making it a number one choice for many Australians. With so many advantages and benefits, Franna cranes are used at construction sites, workshops, coal industry, manufacturing plants, etc. The combination of speed, power and versatility, makes a Franna crane easy-to-operate machine ideal for lifting and moving loads. 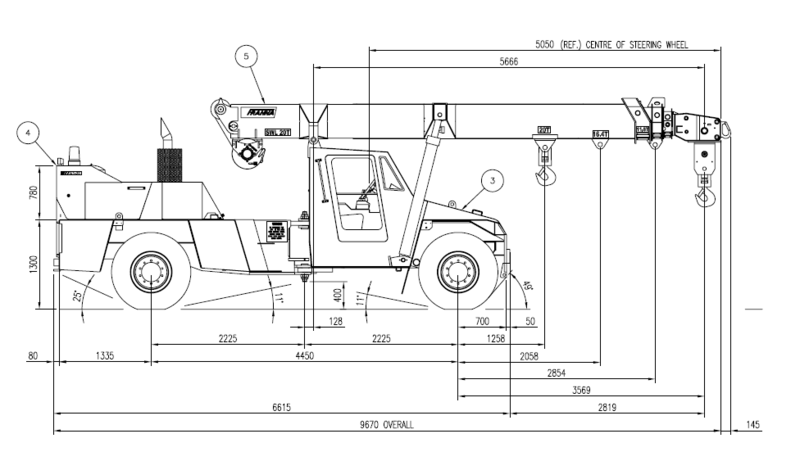 Thus, if you are looking for a heavy-duty crane, Franna crane is the ideal option.